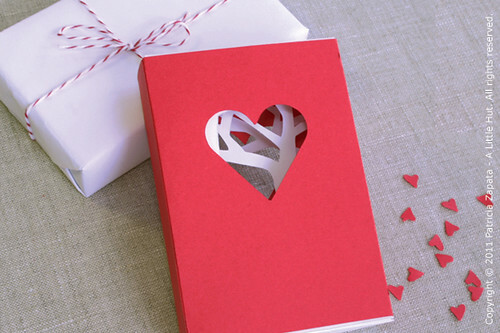 If you're still looking for an idea for Valentine's Day check out my new project on Craft . 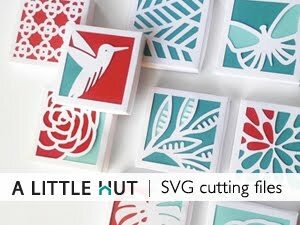 It's not as difficult as it looks and you'll get some good practice with simple paper cutting. There will be more of these soon and they will be available in SVG format in the shop. Head on over to Craft to see the whole project, so you can make one yourself—and let me know what you think! Welcome to those of you that are visiting from Craft or Lifehacker (memo holder feature)! If you'd like to see other DIY ideas please use the menu at the top above my blog banner. It feels like it's going to be a very productive week. Happy Monday!